6 days in Haiti, 20 kids took 2,400 photographs to document the environmental threats facing their country, their health and their future. February 9-15th, 2012 Pongo Media traveled with Frame of Mind to Haiti to document a workshop with 20 young journalists, ages 12-19. This trip was the second phase of the photography workshop where Frame of Mind arranged an expedition to Parc la Visite to tell the stories of conservation themes that effect the quality of life in Haiti such as fresh water, deforestation etc. Frame of Mind partnered with Panos Caribbean, and Conservation International. 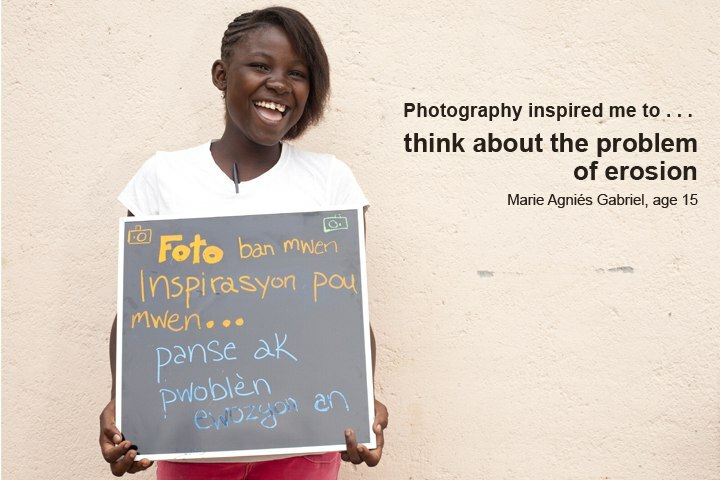 The workshop culminated in an exhibit of the kids photographs at the Library in Jacmel, Haiti. Frame of Mind put together a book of the kids photo stories called, Frame of Mind Haiti Photo Stories from Jacmel to Parc La Visite. Preview the book! Frame of Mind, Haiti Expedition Short is available to view here!